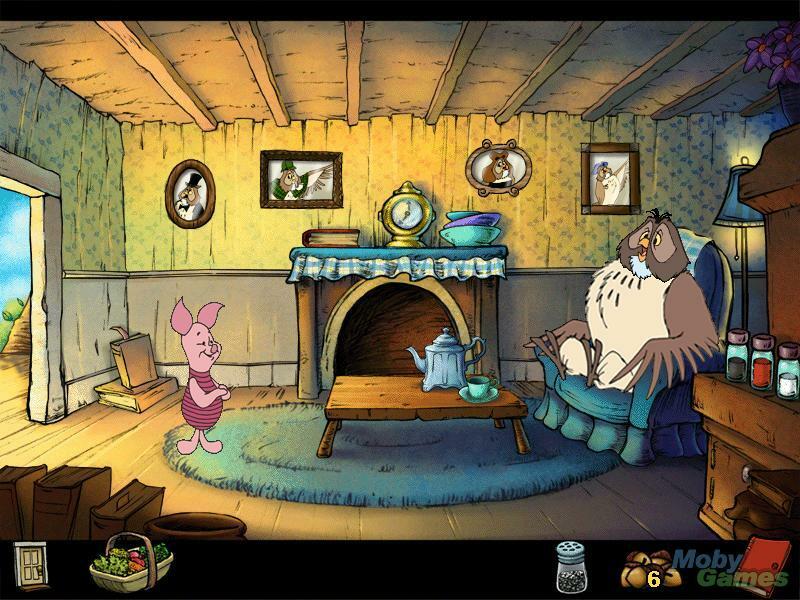 Piglet's Big Game. . HD Wallpaper and background images in the Winnie-the-Pooh club tagged: winnie the pooh piglet big game video game screenshot. This Winnie-the-Pooh photo might contain cherehani, dressing meza, mfanyakazi, ubatili, meza choo, jedwali ya choo, anime, comic kitabu, manga, cartoon, and mkono.